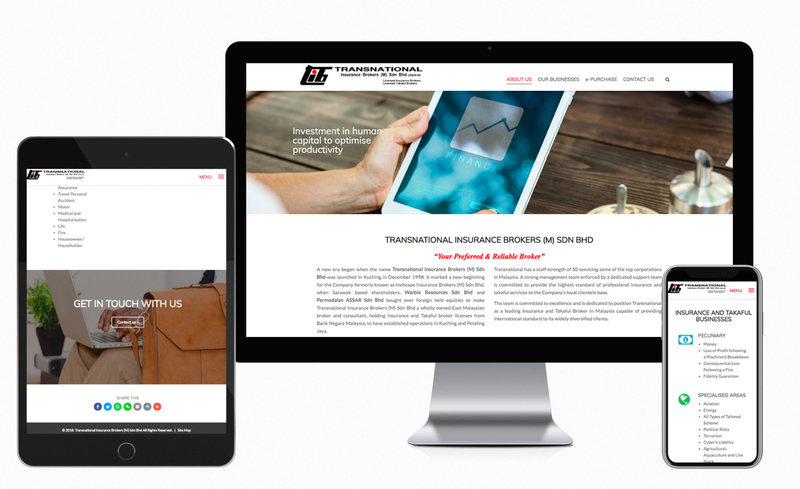 Transnational Insurance Brokers (M) Sdn Bhd a wholly owned East Malaysian broker and consultant, holding Insurance and Takaful broker licenses from Bank Negara Malaysia, to have established operations in Kuching and Petaling Jaya. Responsive layout, fit into any smartphone/tablet/laptop/desktop screen and present in responsive layout. Optimized friendly for fast loading.